A few years ago, Lil Baby would mean nothing to anyone except if one was talking about a particular little baby. From 2017, however, the name has become probably one of the hottest and fastest rising in the hip hop community in Atlanta and in fact the US. The rapper rose rather fast – thanks to songs like Harder Than Hard, Yes Indeed, and Drip Harder. Find answers to most of the questions often asked about Lil Baby below. Even as it is as Lil Baby that the rapper has come to be known, his real name is Dominique Jones. He was born on December 3, 1994, in the United State, Atlanta Georgia, where he was also brought up. He was raised alongside his two elder siblings after his father abandoned the family when Dominique was just 2. Growing up in the notorious south side of Atlanta, he succeeded academically, but he found it quite hard to stay away from troubles and so he dropped out of high school. At that time, his mom tried sending him to an alternative school but he felt he was too old for it and so he turned his back on schooling without looking back. In 2012, he landed behind bars for burglary after he tried breaking into a house with a couple of friends but got caught in the process. For this, he got to spend 10 days in detention. At the age of 16 to 17, Baby’s line with the law kept crossing for things like drugs and gun possession. In 2012, he was charged with possession of drugs and intent to sell, to which his then-lawyer advised him to take a 2-year plea deal. However, Lil got another lawyer who was able to secure a deal that would have him undergo a special program for six months. After just 20 days in the program, he got into a fight with an older white man for racist comment. He was then sent back to a real penitentiary to spend the original 2 years. In 2013 and 2014, he would again have charges of possession of marijuana and possession of marijuana with intent to sell respectively. After spending his time in a maximum security facility and meeting people he knew who were spending two life sentences, he decided that he was going to change his life. That was when he made up his mind to become a rapper. According to Lashawn Jones, they all laughed when her son said that was what he wanted to do. Still, she supported him to do all he wanted as long as he wouldn’t end up behind bars. Immediately, Lil Baby began dropping mixtapes. Between April 2017 and November 2018, he released a number of mixtapes including Perfect Timing, Harder Than Hard, 2 The Hard Way, Too Hard, Drip Harder, and Street Gossip. Walking all the steps, he soon became a hit on Soundcloud. In 2018, he released his debut album, Harder Than Ever, debuting on the US Billboard 200 chart at number three. The album featured people like Drake, Yong Thug, Offset, and Gunna. In 2019, it was announced that the Atlanta rapper would join others including Lil Yachty, Lil Jon, Migos, and Ludacris for the 2019 Super Bowl Music Fest. For the rapper, he had both a dad and a mom in the same person – Lashawn Jones, his mom while he was growing up because as stated, his dad had left the family. That said, she struggled to raise him and his two older sisters. He also had his step-granddad around, someone that he loved and was a mentor for him. 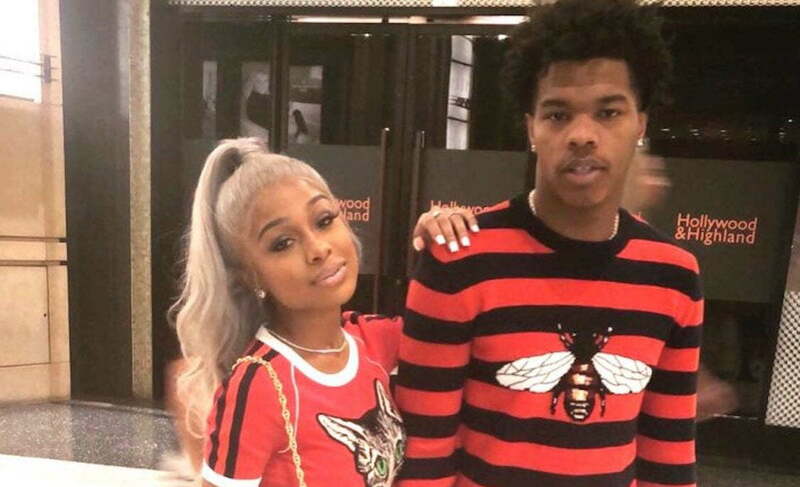 Lil Baby is in a relationship with Amour Jayda whom he began dating since 2016. The two met through Amour’s sister. At first, the rapper began sending her DMs on Instagram and when she moved to Atlanta, they started the relationship privately before they took it public. Even though she is now into online hair retailing and show hosting, Amour Jayda once tried rapping and was even in a girl-group but she decided to stop it. Lil Baby has a son from a previous relationship. In December 2018, it was reported that Jayda was pregnant for the rapper and the two were already engaged. Based on his name, the first thing that one would believe is that Lil Baby is a smallish man. Instead, he got the name because he had always hung around older guys. While he may not be the tallest man around, he is a man with an average height of 5 feet 8 inches and a slim build.